I stayed up really late, the other night, and sewed another Lily Lace Dress by Made for Mermaids! 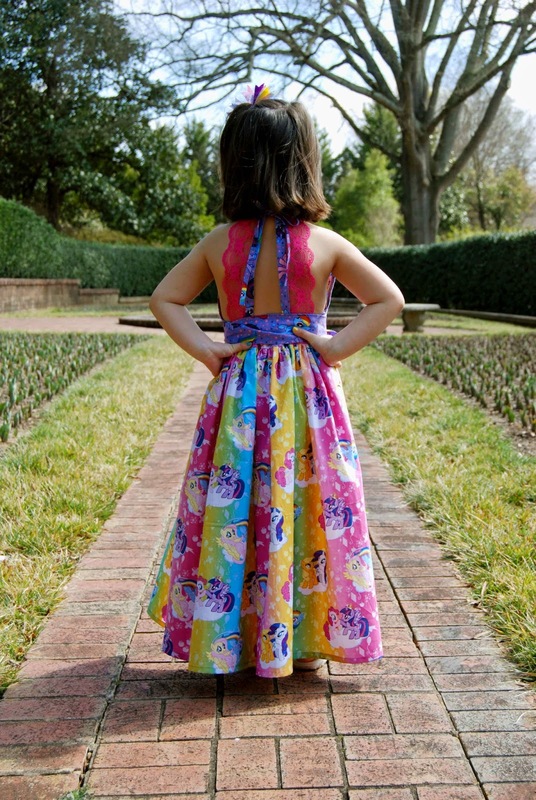 This time, in maxi-length and My Little Pony fabric...!! Ooh, ooh, OOH! 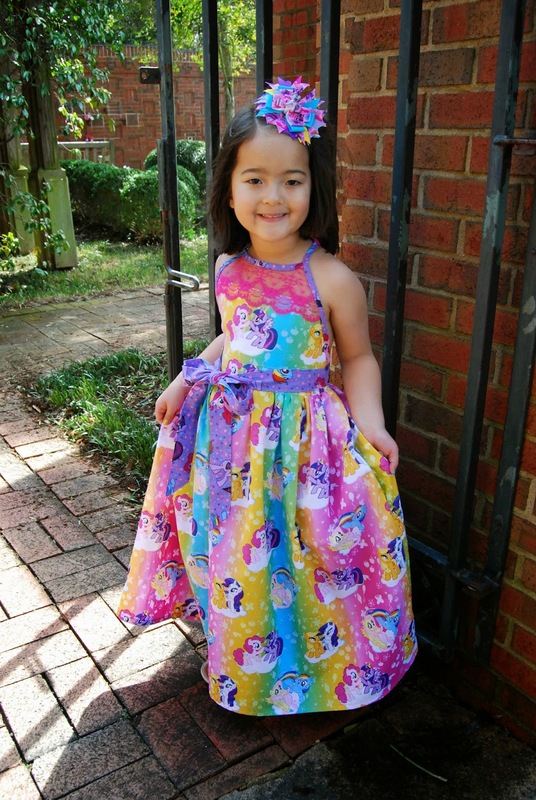 It doesn't get much better than that for a pony-loving five year old!!! 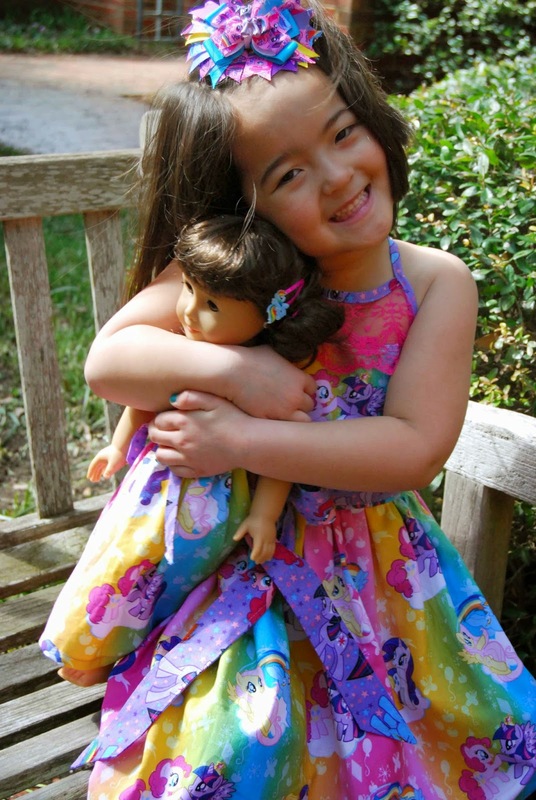 Lil' Miss proclaimed it to be her, "FAVORITE dress of all times...!" It may be the ponies talking, but I'll take it!! 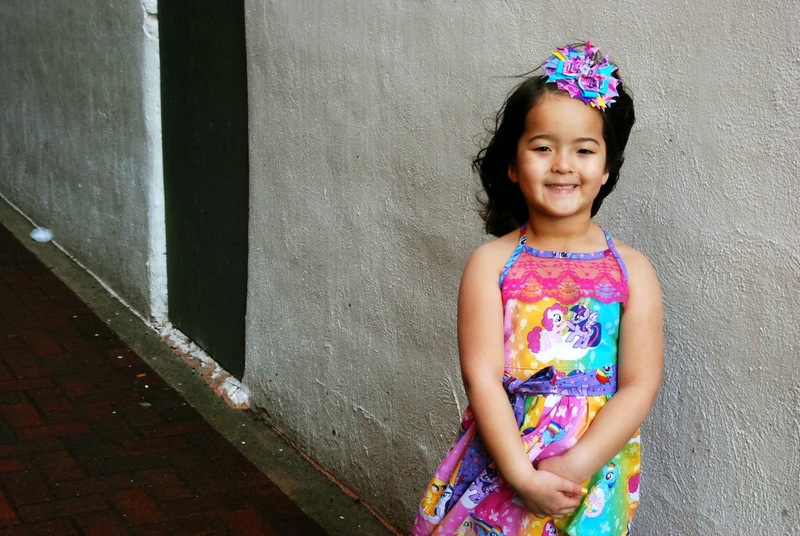 One happy, pint-sized fashionista!